I just made it to the train and had booked 2nd class. Once I found the platform and one car 3 and inside my cabin. There was an arrangement of 4 bunk beds with sheets and pillows, two on each side. The train was quite new and very functional without the frills. There were only two of in the cabin. 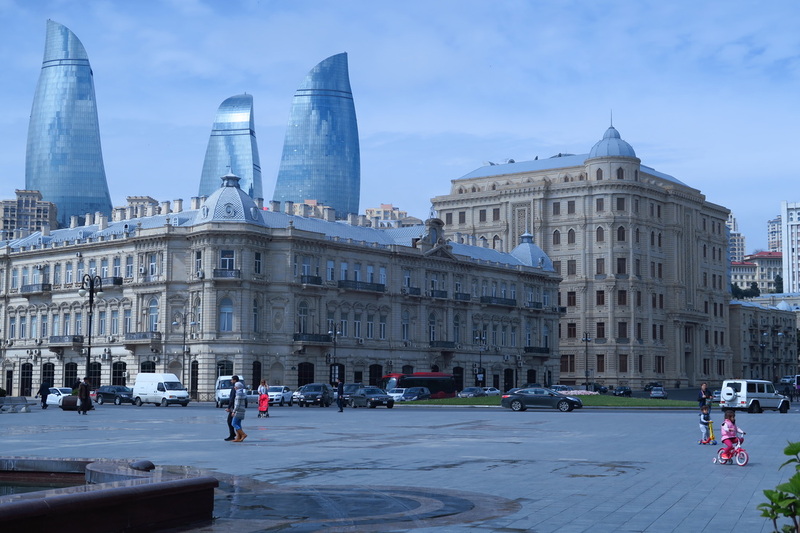 My company was a banker from Baku. He could speak English which was great. At the Georgian border we stopped for half an hour or so after our passports were collected . Once this was done another half hour up the track we spent an hour at the AZ. Here our bags were inspected and we had to go into a cabin to get interviewed and have our photos taken by the official. Once on the rails again it was a leisurely ride. 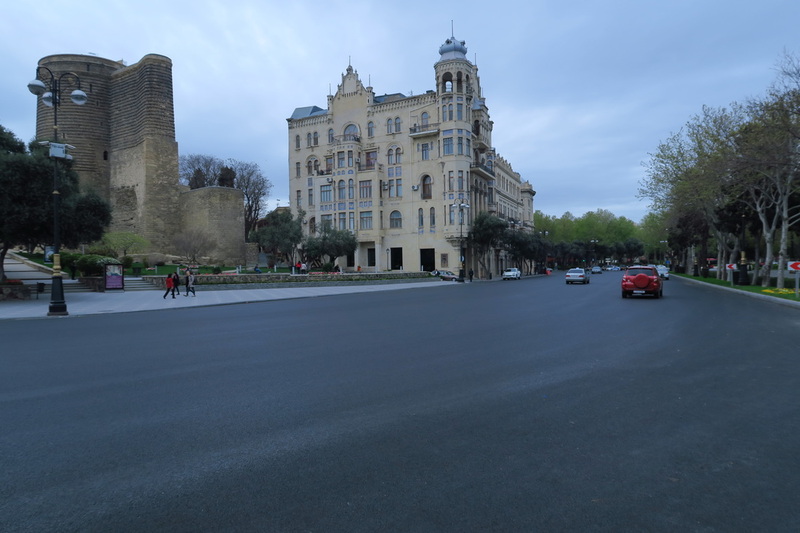 Next morning I woke up and we were almost in Baku. Once here, the guy I was travelling with said take the airport bus for a ride. 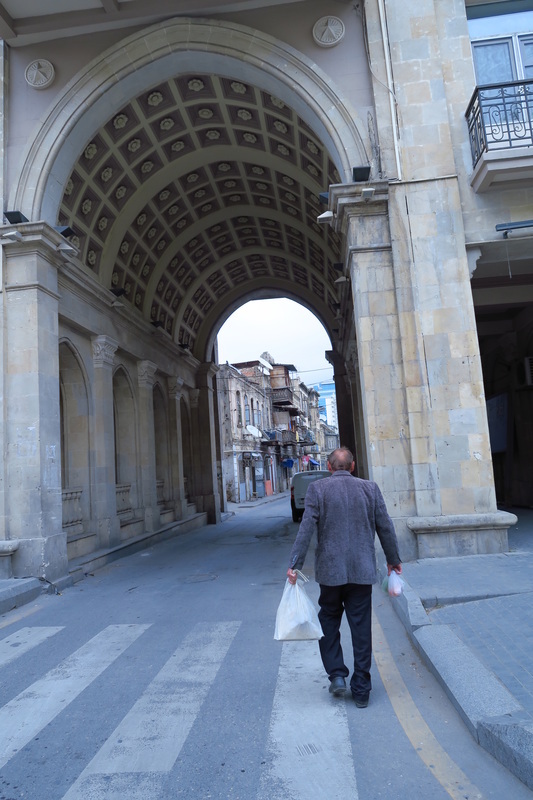 The train left Tbilisi at 1730 and arrived in Baku 0745. I took the bus to the airport, it was a great cheap way to see the new shiny oil financed buildings in this city. The return trip took about 1.5 hrs and was well worth it in the luxury bus. I then wandered to my Airbnb booking in the old city. Here Mikial showed me my bunk .That afternoon I joined 3 Aussy guys on the second part of a tour. Of some gas burning in the ground and a temple where they worshipped the gas. 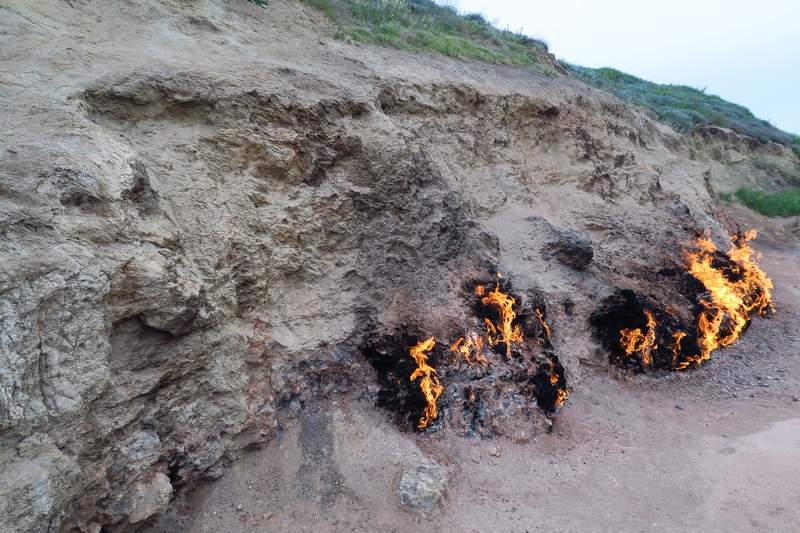 Azerbaijan afterall is called the land of fire. The city is incredibly modern. Like a little Dubai. The streets were hugely wide and were liberally littered with Mercedes and Range Rovers. A girl said to me unfortunately people here spend all their money on big expensive car. The Caspian sea had an on shore wind over it on the day. There was a fine slick of oil on its surface and a residue along the promenade shores. The most striking feature of the city was the 3 huge highrises they call the flames. They are lit up at night displaying people waving the AZ flag across the towers. It was all very impressive. 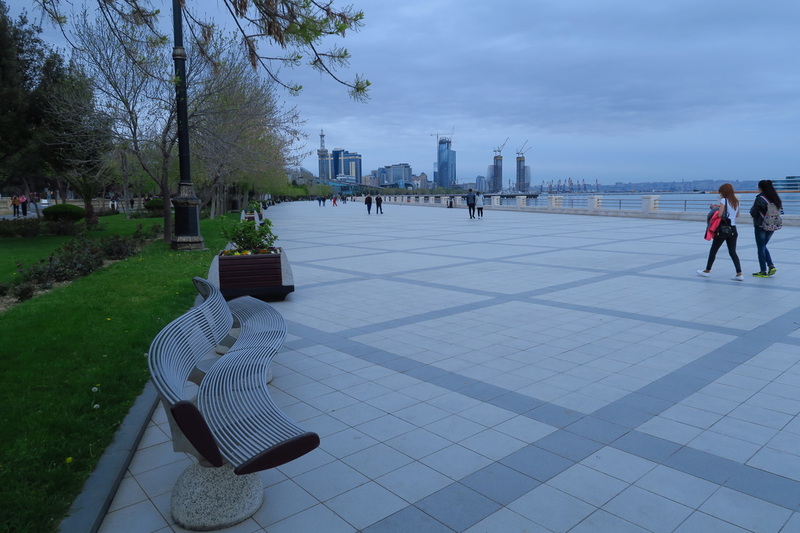 Bulvar park on the Caspian Sea was a lovely place to just wander along the wide promenade on the seaside. All the biggest fashion houses are here. The old city for me was of most interest. I also caught up with another British cyclist here. Most Britons come this way as they are unable to enter Iran . Two days was plenty here for me. I recommend Mikails hostal. 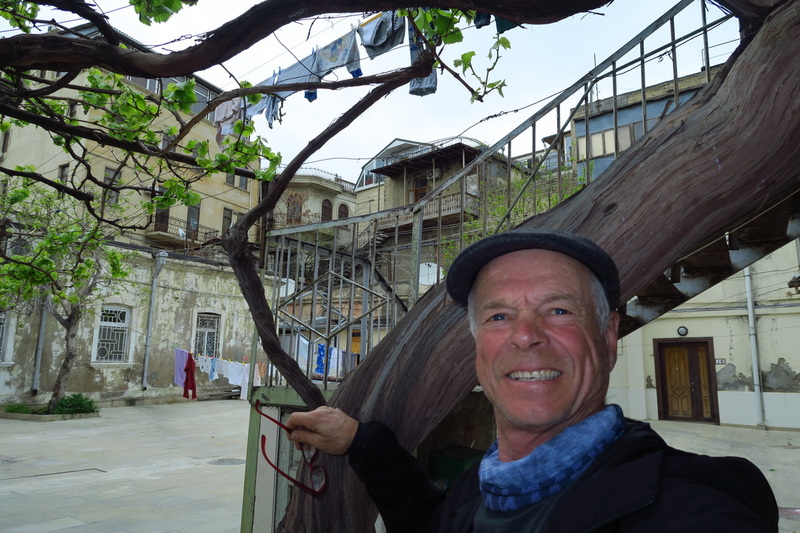 It can be found on Airbnb at Baku old city apartments, great value. My curiosity had been satisfied, I just wanted to see this city that I had so much about. 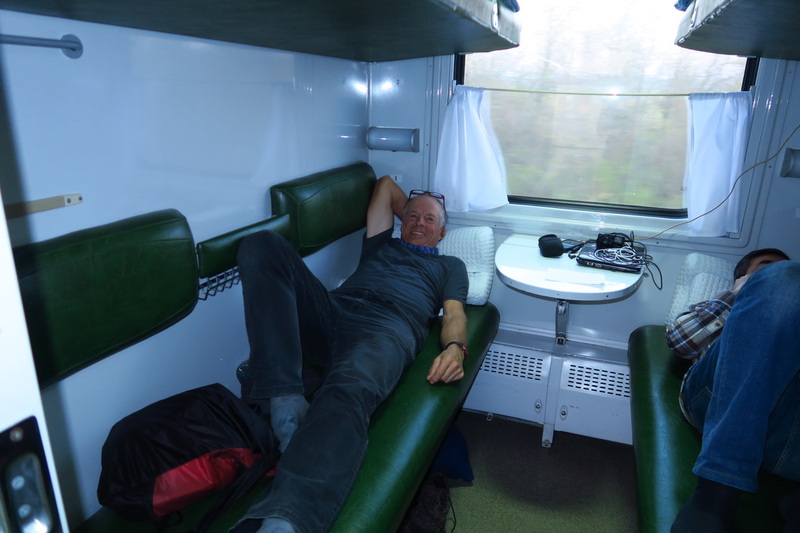 Settling in on the train from Tbilisi to Baku. My interests lay in the old part of town. The old and the new. 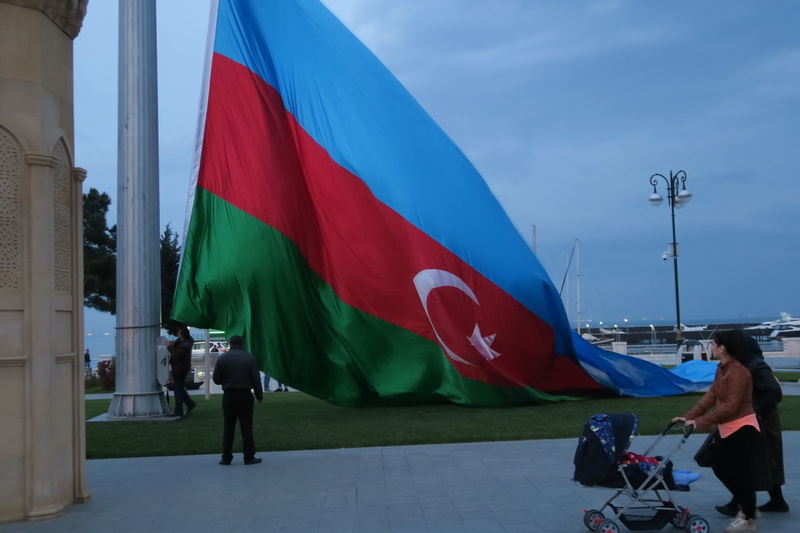 Azerbaijan is an oil rich country. Asif, my company on the way back to Tbilisi. 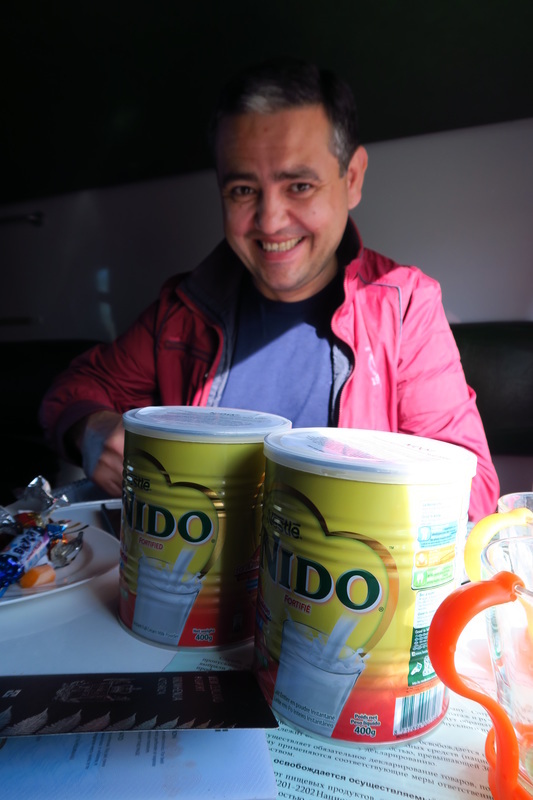 This milk powder sustained me all through Africa. It was great to find some in Baku. Milk powder has been hard to find.